This place has everything you could ask for - would highly recommend! Kitchens and bathrooms are spotless. Staff are super helpful and helped us massively with tour bookings! I can not say enough how awesome this place is. It has set the bar for hostel experiences for me. The location and property are fantastic, our room was clean and felt like home, and the staff is incredible. Shout out to Mickey for being so helpful in planning out things to do during our stay. Seriously, this has been my favorite hostel experience. Just book this place. One of the best hostels I have ever had the pleasure of staying in. 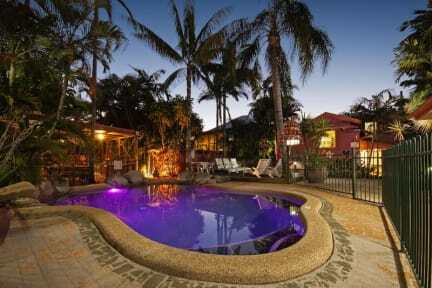 My favorite hostel on my australia trip! Super nice staff, everything is really clean, and met so many nice people. Very chill atmosphere and lovely pool. Really great atmosphere! The staff is super friendly and helpful. You have a lot of small details that you don't usually expect in a hostel: free tea and coffee, a safety box for you, swimming pool, social events, extra towels for the beach...I definitely recommend it! !